It takes a lot of work and resources to pull together a yearbook that gets everyone talking (in a good way). You need to cover all the right events, get enough photos, sell advertising space, create a consistent design … and do it all with a yearbook committee that is often made up of a small group of volunteers. That’s why putting the right team in place is so critical. 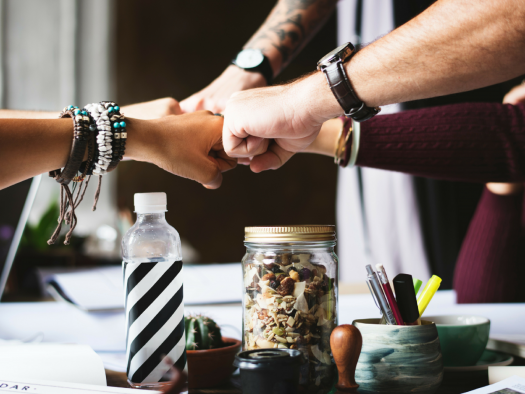 By selecting the right people for the right yearbook committee positions, you can avoid many of the common challenges that cause headaches and hiccups during the yearbook creation process. The challenge: Your yearbook committee has a lot of volunteers … but not a lot of direction. Newspapers. Magazines. Media websites. All large publications have an Editor-in-Chief position – and for good reason. An Editor-in-Chief is charged with overseeing the entire publication. It’s his or her responsibility to bring together all the pieces that make your yearbook great. Things like coordinating with the yearbook production company, the portrait studios, various school departments and student organizations, plus keeping the publication on time and on budget. The role requires organization, perseverance … and more than a little patience. Having an Editor-in-Chief on your yearbook committee gives you one point of contact for all questions and issues, which will help simplify the process and keep everyone on task. The challenge: You have an Editor-in-Chief, but he/she is completely overwhelmed. The Editor-in-Chief position can quickly become overwhelming (and undesirable) if there’s no support surrounding it. That’s where an Assistant Editor comes in. The Assistant Editor can help the Editor-in-Chief by taking on important tasks related to the publication itself, such as making sure the yearbook has a consistent look and feel throughout, and that it reflects your school’s unique spirit. By giving your Editor-in-Chief a person to lean on throughout the process, you will improve the ways the entire yearbook committee functions. 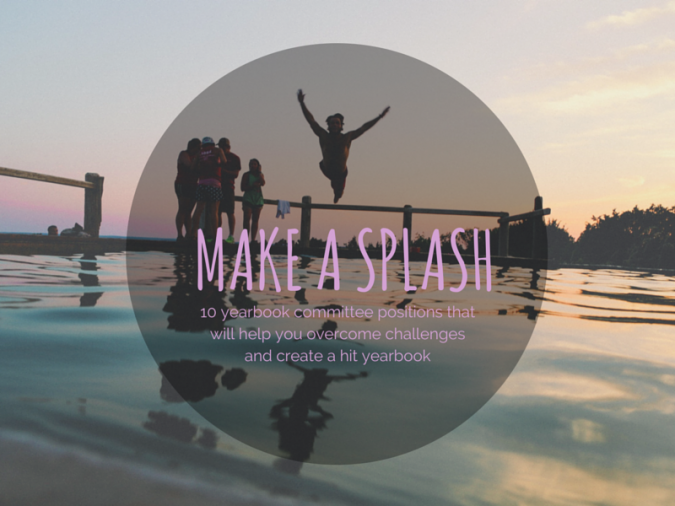 The challenge: You want your yearbook to capture each important moment of the school year, but there are so many events and activities to cover. The solutions: Photographer(s) + Journalist(s). While it will be impossible to attend every game, competition, match or meeting in a school year, having dedicated Photographers and Journalists on your yearbook committee can help you cover your bases (literally!). Photographers should, of course, have skills and interest in photography. But they must also be willing to attend a variety of events to take candid photos. The same applies to Journalists. These committee members should be comfortable interviewing students, parents and staff, and they should plan on attending multiple school events. 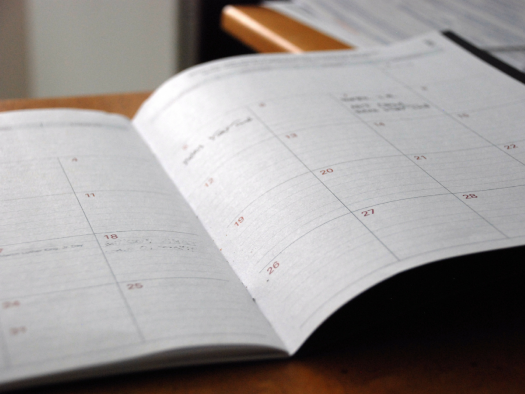 To keep your Photographers and Journalists on task, create a schedule of your school’s bigger events and assign committee members to cover each one. Struggling to recruit people who will be available for these roles year-round? You can always crowd-source photographs and stories from attendees who don’t have set yearbook committee positions: if you know someone reliable who is attending an event, ask them to be your photographer or journalist for the day. The challenge: Your budget is tight, and your school administration/PTA could use a few extra bucks for activities. Selling advertising is a standard (but important) part of creating your school yearbook. Yet when ad sales are everyone’s job, the actual selling can feel like no one’s job. Make yearbook committee members accountable for this task by giving them the role of Ad Salesperson. 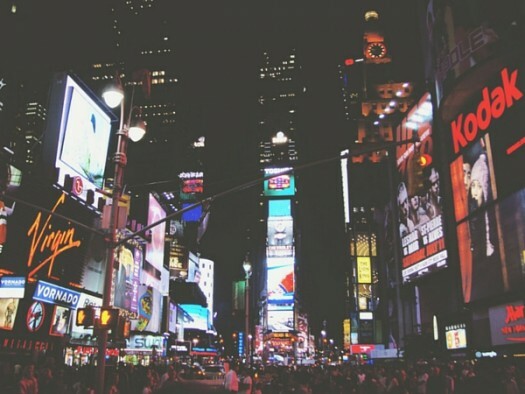 Ad Salespeople will be responsible for selling ads to parents, local businesses and community members. They can help answer any questions the advertisers may have, and help with ad layout in the final yearbook. The challenge: Your yearbook content comes from a variety of school sources, and there is no consistent style. Getting a bunch of people to find and tell stories from a bunch of different school departments and organizations is awesome — but it might make your yearbook content feel disconnected. A strong Copy Editor can fix that. The Copy Editor role not only requires keen grammar, spelling and punctuation skills, but also creative storytelling abilities. Choose someone who enjoys writing and who understands your school community and the stories that are important to tell. The challenge: You’re struggling to pull your yearbook content together into a final, professional format. The solutions: Layout Editor + Graphic Designers. The visual consistency of your yearbook is just as important as the consistency of the words on the page. Compiling an entire year of events and activities takes time – and design skills. And a Layout Editor and Graphic Designers can make the process much more efficient. The challenge: Your yearbook is over budget … wait, is it? You’re not sure, since there are so many expenses and sales to monitor. Yearbook creation is often so all-consuming that it’s easy to forget about a critical piece that must happen during production: marketing. Marketers are one of your most important yearbook committee positions. They help spread the word about your yearbook while it’s being created, and promote it once it’s finalized. This can be by creating promotional materials like flyers and emails, or through fun and creative guerrilla marketing tactics. It’s the marketers’ job to get everyone excited about the amazing publication you just devoted your time, resources and heart into creating. If you stick to these yearbook committee positions, recruit like heck, and use a yearbook staff application, you’ll end up with a well-rounded, highly motivated team that’s ready to tackle any challenge that’s thrown your way.